Gray, Theodore. Gold on the periodic table. Digital image.Http://theodoregray.com. Theodore Grey, 15 Apr. 2002. Web. 29 Oct. 2015. Raw gold. Digital image. Http://www.conservation.ca.gov/. State of California, 2015. Web. 26 Oct. 2015. Gold has been valued by people for thousands of years. Gold is formed by mineral deposits flowing through hot fluids coming up through cracks in the Earth. Historians don't know the exact date of the discovery of gold, but they think its use began around 4000 B.C. In the past, gold was used in pirates' booty, and shows up in folklore in the leprechaun's pot at the end of the rainbow. Gold is easily recognized. Earnest Rutherford did an experiment with gold foil and eventually discovered the nucleus of the atom. To do this, Rutherford tried to pass a beam of electrons through a sheet of gold foil. He saw that some of the electrons didn't pass through the foil. Rutherford came to the conclusion that all of the positive charge within an atom was in a tightly packed center. Gold has been used and known throughout history. Without gold our world wouldn't be what it is today. ﻿• Gold is rare, so it is highly valued. • Gold can conduct electricity. • People make gold mirrors that reflect infrared light. • South Africa is the place where the most gold is mined on Earth. • Pure gold is very soft and is alloyed with other minerals for practical use. • Gold jewelry is usually an alloy of nickel and gold. • Fools gold is made out of pyrite. • Gold is so rare that when you mine it, you only get about five grams from one ton of rock. ​﻿Gold is used throughout history to symbolize wealth and power. It was used in many different ways from the tombs of many ancient Egyptians to the visors of space helmets. In the Valley of the Kings gold was found in King Tutankhamen's large tomb. Ancient Egyptians used gold as jewelry and in furniture. As for astronauts, their helmets are equipped with a gold plated visor that is used to shield the eyes from harmful UV rays. Even more recently gold has been used to cure cancer. 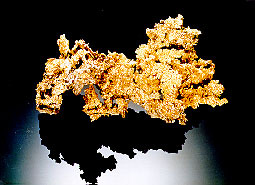 The radioactive version of gold (Au 198) is injected into a person along with a compound found in - oddly enough - tea leaves. Injection is used to treat prostate cancer. Another cool use for gold was discovered by the Celtics: They used gold dental implants. The implant would have been held in by a small pin. Uses for Gold. Digital image. Http://cruechronicles.com. Crue Invest, 2 Aug. 2012. Web. 26 Oct. 2015. Gold is also used in the medals that we award to the winners of the Olympics. Gold is the highest medal ranking that you can get. This is another example showing that gold is thought of as precious. Some restaurants even offer gold sprinkled dishes. It is harmless to eat gold. Although it doesn't absorb, it just moves through your system. Some of the gold jewelry that you can buy from a kiosk at the mall is plated with a very thin layer of gold, this makes it shine like the real solid gold without the price of it. Gold is mentioned many times in the Bible. It has been symbol of wealth and well being throughout history. `Below are a few of the many gold references from the Bible. • (2 Kings 14:14) He took all the gold and silver and all the utensils which were found in the house of the Lord, and in the treasuries of the king's house, the hostages also, and returned to Samaria. Here it says that there are gold and silver in the Lords house. This shows that Gold is very important even in the house of God. •(Revelation 21:18) The material of the wall was jasper; and the city was pure gold, like clear glass. Here the bible is saying that New Jerusalem was made of pure gold. This is important because God is re creating the earth and making a new, perfect one for us. If gold is included in the New Jerusalem it must be pretty important today. - (1 Kings 6:21) Solomon covered the temple with gold. This is important because he thought that the gold was holy enough to cover Gods dwelling place. - (Psalm 19: 9 -10) This verse is saying how precious Gods word is and that it is more valuable than all the gold or honey you could ever have. – (Exodus 32: 2-4) Moses leaves his people and in his absence they make an idol in the shape of a golden calf to worship. In this story gold is a symbol of corruption. Were reminded to worship only God and not false idols or material things. Kore. 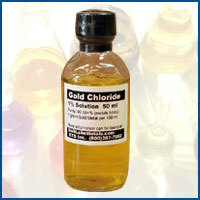 Gold Chloride. Digital image. Http://www.chemicalforums.com/. N.p., 19 Jan. 2010. Web. 29 Oct. 2015. In this video there are gold atoms moving when they are heated. They are being viewed under an electron microscope. Ghose, By Tia. "Vintage Bling: Ancient Celts May Have Had Shiny Dental Implants." LiveScience. TechMedia Network, 14 July 2014. Web. 27 Oct. 2015. Gray, Theodore W., and Nick Mann. The Elements: A Visual Exploration of Every Known Atom in the Universe. New York: Black Dog & Leventhal, 2009. Print. Gagon, Steve. "The Element Gold." It's Elemental -. Jefferson Lab, n.d. Web. 29 Oct. 2015. Rutherford, Ernest: Gold foil experiment. Art. Britannica Online for Kids. Web. 29 Oct. 2015. "Gold (Au) | Chemical Element." Encyclopedia Britannica Online. Encyclopedia Britannica, n.d. Web. 29 Oct. 2015. McQuarrie, Donald A., and Peter A. Rock. Descriptive Chemistry. New York: W.H. Freeman, 1985. Print.